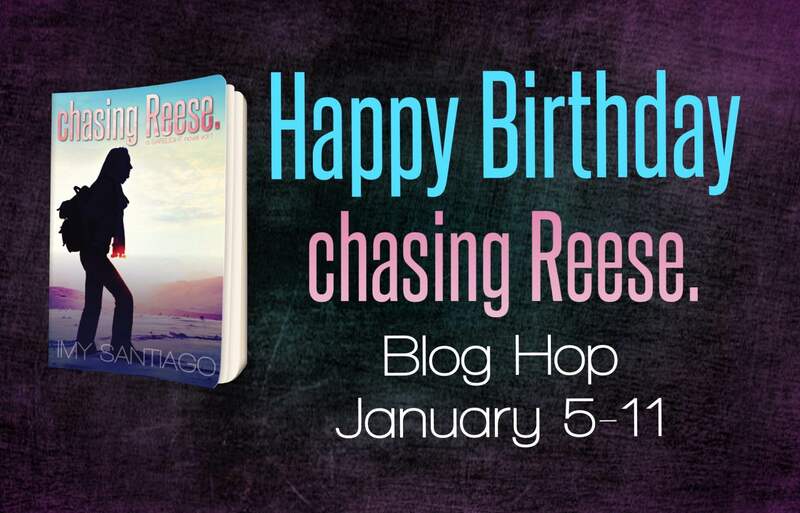 Happy 1st Birthday, chasing Reese.! On January 5, 2015, I published my debut novel chasing Reese. On its release day, chasing Reese. peaked #32 on Amazon’s Bestselling List in the Romance/Action & Adventure category, and most recently it was awarded the distinction of Best Action & Adventure novel over at JoandIsaLovesBooks Blog Reader’s Choice Awards 2015. Winter is upon us, and what better time than to read this action-packed heartfelt Sports Romance novel in the deep of winter! You can #OneClick chasing Reese. for only $0.99 on all major eBook platforms. To celebrate this incredible milestone, a group of esteemed colleagues and bloggers have joined forces to throw a virtual blog party in which you can visit twenty five (25) pages on Facebook, and enter twenty five giveaways! Yes, twenty five! You will not only learn a little about chasing Reese., but discover new authors and blogs along the way. The Naked Truth, STOP #25 Imy Santiago<—Signed Paperbacks Giveaway! Say WHAT?! Sneak Peek of saving Reese.